The Saturday sandwiched between Good Friday (when Jesus hung on a cross and released his life) and Resurrection Sunday (when Jesus arose from the dead) is a curious day in the Christian faith. The Bible is pretty quiet about this day. If we were to put ourselves in the sandals of the early followers of Jesus; I can only imagine what the middle day felt like to them. They had committed themselves to the teachings of their Messiah. They had devoted themselves to following Him, to living His way. Now here they were, on what was likely the darkest day of their lives. All they had hoped for and believed in hung on a cross the day prior and now lay quiet, and still, in a tomb. No doubt an epic battle raged within them between the pain of yesterday and the hope of tomorrow. They were left with the ultimate decision, were they to continue in what they believed, or return to what they used to know in their lives? In our own situations we may have faced that same battle within our own lives. Between the pain of the past and the hope of the future we wrestle with the choice; do I believe in the hope of tomorrow or do I die to the pain of yesterday? The beauty of our journey is that history did not stop on this quiet day between Good Friday and Resurrection Sunday. Hope prevailed. Life won. Jesus conquered the pain of Friday. 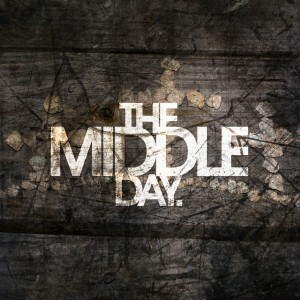 In our lives we might be stuck in this ‘middle day’; but we can know that in the resurrection of Jesus, God won. We do not have to succumb to the pain of Friday and we can live in the hope…and now reality of Sunday.